(by Joshua P. Hochschild, The Wall Street Journal) — Rising student-loan default rates are back in the news. As President Obama signed a “Student Aid Bill of Rights” initiative Tuesday, he said his administration will study the idea of extending bankruptcy options for all student-loan borrowers. How did we get here, and what can we expect to come? Let’s ask Beatrix Potter. If you seek a lesson in credit bubbles, you need look no further than “The Tale of Ginger and Pickles,” published in 1909. Ginger and Pickles have lots of customers. They have many more customers than the other village shop, run by Tabitha Twitchit (who always expected actual payment). And so, written down in their account book, Ginger and Pickles have a lot of money owed to them. But no actual money is coming in. Eventually Ginger and Pickles start getting into trouble, and despite sending out lots of bills, they can’t collect. They go out of business and close the shop. I first read this story 99 years after it was published, during the housing crisis of 2008. Reading it to my children, I found it hard not to see the very same economic forces at work: the inflation and then collapse of a credit bubble. But there are differences. Ginger and Pickles had no collateral when they sold consumable goods, and so they had no leverage to secure repayment. In the housing crisis, banks that didn’t get repaid could at least take title to a house, and that was worth something. The housing crisis didn’t really see those who had foolishly extended loose credit suffering for their bad choices; the banks, and the politicians who set up perverse incentives, generally all benefited. It was the people who had bought houses they couldn’t afford who suffered the most. Yet there is another kind of credit bubble, one in which the borrower has no collateral and those who are extending the credit are likely to feel a sting. It is the education bubble, in which the government has provided huge sums in taxpayer-guaranteed loans, and it is not clear that those taking the loans will be able to repay them. If those loans aren’t repaid, the taxpayer—that is, the public at large—will suffer. And a college education…is a good that can’t be returned once it’s been consumed. So you can see why I have this story in mind as I read recent news reports about education loans. As in Potter’s story, the education bubble involves customers who bought something they can’t or won’t be able to pay for. More students have been defaulting, and this trend is expected to continue for the foreseeable future. Like Ginger and Pickles’s shop, this can last for a while, but it can’t go on forever. At some point, the unsustainable credit has to collapse, and the store will close—or at least drastically reorganize. 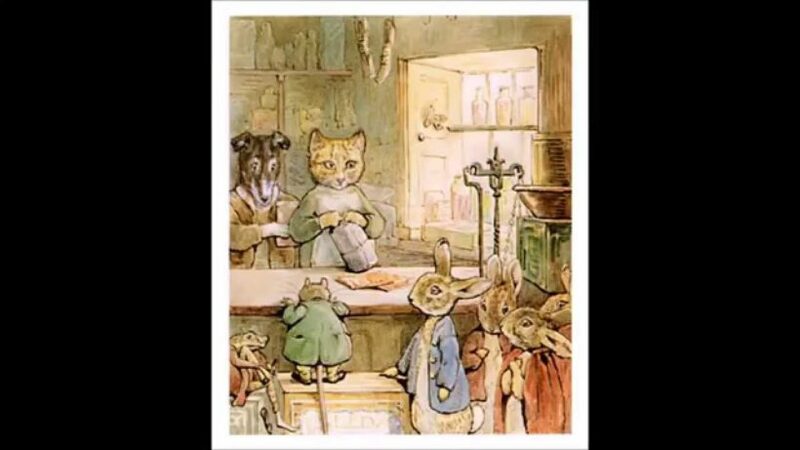 For now, there are differences between the education bubble and Beatrix Potter’s grocery bubble. The customers of Ginger and Pickles could walk away with free stuff without any consequences, while college loans don’t give the same psychological effect as a store with foolish [owners]. Few people take on education debt expecting to default, much less hoping to do so guilt-free. Under current law, education debt can’t be [eliminated/erased] by bankruptcy. Ginger and Pickles saw a run on the store—but students, and their parents, are increasingly wary of taking on debt and are seeking options other than traditional college education: community college, online courses, even avoiding college for training in trades. This means that some colleges are likely to close, not because they run out of money, but because they run out of customers. The administration’s suggestion of making education loans [erasable] might make families more willing to buy education on credit—it will keep the students flowing into Ginger and Pickles University. But it won’t deal with the deeper problem, which is that this business model can’t last. Most colleges have not been running on empty…, because they aren’t the ones who’ve been extending credit. Their customers have credit with the government, which is backing the loans, and the government has been filling the college…with borrowed dollars. How long can the government keep doing that, especially if it no longer even intends to collect? Beatrix Potter suggests the general outline. After Ginger and Pickles went out of business, a few new merchants cropped up to sell particular items. And Tabitha Twitchit’s store? She did very well, and even started charging higher prices. As for Ginger and Pickles, they had to find alternative means of supporting themselves. That’s how it works on the small scale. But when a whole nation takes on an unrepayable debt, what happens then? I’m not sure Beatrix Potter wrote that story. Published March 11, 2015 at The Wall Street Journal. Reprinted here March 19, 2015 for educational purposes only. Visit the website at wsj .com. Mr. Hochschild is the dean of the College of Liberal Arts at Mount St. Mary’s University in Emmitsburg, Md. 1. What is the main idea of Joshua Hochschild’s editorial? 2. What solution might Mr. Hochschild suggest? 3. Ask a parent what he/she thinks of the problem identified by Mr. Hochschild in his commentary.